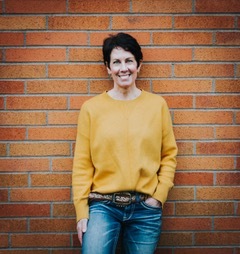 Jenny Jones is a Pacific Northwest Native and for the last two decades has served her community in sales and marketing efforts for small businesses. Coupled with her extensive sales and marketing background, Jenny holds 3 degrees, has 9 years’ experience in exterior construction, and is an AHERA Asbestos Building Inspector. “As a single Mom, the discipline from working full time, raising my children, and obtaining my degrees has allowed me to manage time. I will always be a student of life; education has given me the confidence and knowledge to serve my community.” As a Real Estate Broker, I am committed to my clients; possess the knowledge and experience to help them make the right decisions. Your home is your biggest personal investment. One of the most important decisions you'll make when selling or purchasing your home is who you will trust to assist you. My extensive sales and marketing background & education has served me to assist buyers and sellers ensuring that each transaction goes smoothly. It’s important to me that you are taken care of throughout the transaction, and customer care is my top priority. I will tailor and guide our journey together with your specific needs in mind. There’s no place else on earth quite like SW Washington and owning property here is one of the great privileges of life. I love this area and once I show you around, I’m convinced you will love it too and want to plant roots of your own in our majestic paradise. I love the real estate business and enjoy being a full-time broker. I have a decade of experience in exterior construction and asbestos. My expertise and know how will help the community make the best real estate decision. Having experience in construction, real estate, and an asbestos expert on your side means you’re working with a well-rounded professional. I’d like to earn your business and will work extra hard to make sure your real estate transaction is a complete success! What makes SW Washington so unique? SW Washington is home to a quick drive to the beach, mountain, or desert. In Vancouver, WA. we are about 10 minutes away from Portland, Oregon and 5 minutes from the beautiful Columbia River. We are also only 30 minutes to Portland International Airport, and home to lakes, and rivers for unique year around fun.